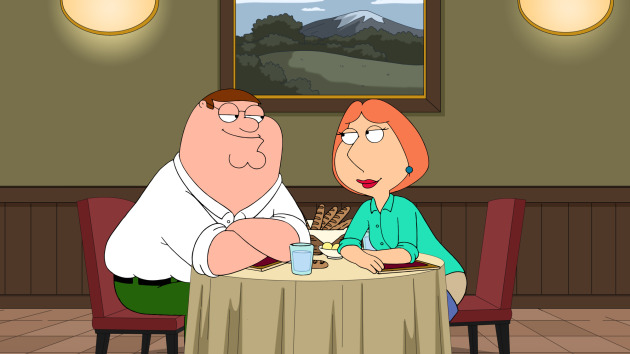 Peter and Lois attempt to reconnect with one another on Family Guy. "Nanny Goats"is the third episode of the show's 16th season. Family Guy Season 16 Episode 3: "Nanny Goats"
Peter: Well, maybe I can give you half a breadstick later. 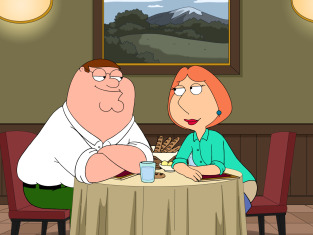 Lois: As long as you don't mind a little marinara dipping sauce. Peter: That's absolutely disgusting. And I love it! Permalink: That's absolutely disgusting. And I love it! We time is just as important as "me" time. Permalink: We time is just as important as "me" time.